Over the past few years, we have seen many different styles of tech advanced boots released on the market. None has offered anything quite like what Concave has produced, with the brand offering their own unique take on the ideals of a “power” boot. Since we were first introduced to their boots in 2009, testing the PT+, the brand has continued to evolve with its key technology taking on different forms across multiple silos. 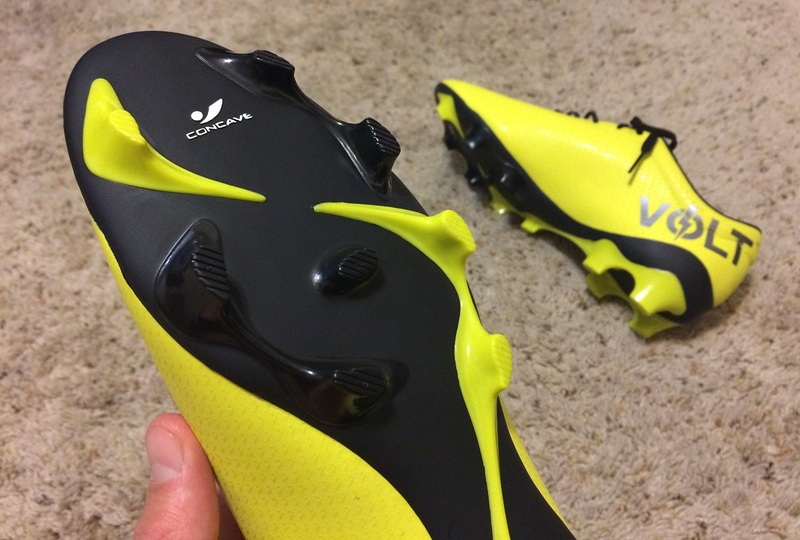 Built as a hybrid Speed/Power boot, the Concave Volt+ is one of the more popular options on the market right now. Even though you won’t find them in retail stores, Concave has an official website where all their boots are available to US consumers. Since this makes them a viable option, we got our hands on a pair in the Lime/Black colorway for review, just to see what they have on offer. It has been several years since we tested any Concave boots, so this really is like testing a new silo for the first time! Credit where credit is due, this is a comfortable boot that takes little time to break in. Concave use a range of pliable materials right throughout that make them easy to flex and mould to your foot shape right from first wear. As long as the general shape of the boot works, which it should for most of you, expect them to work really well out of the box. 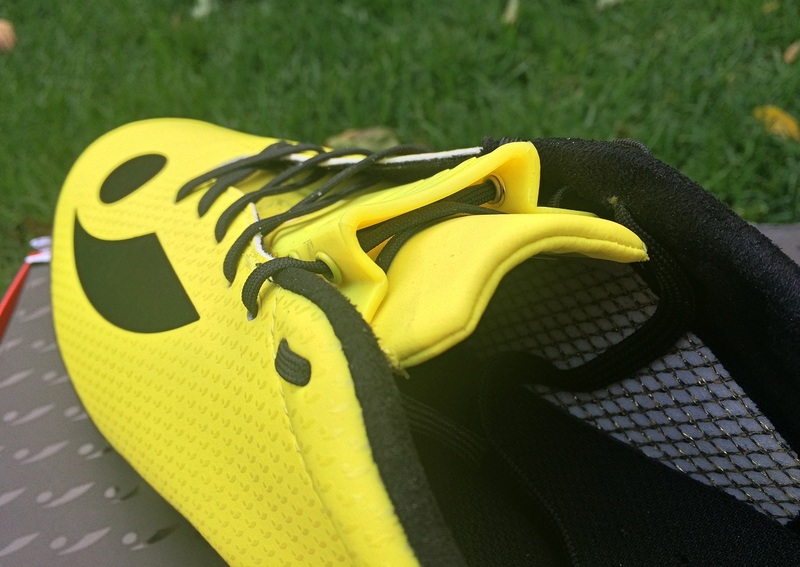 Even the Concave Component feels good, in fact you don’t notice or feel it after you lace up your boots. 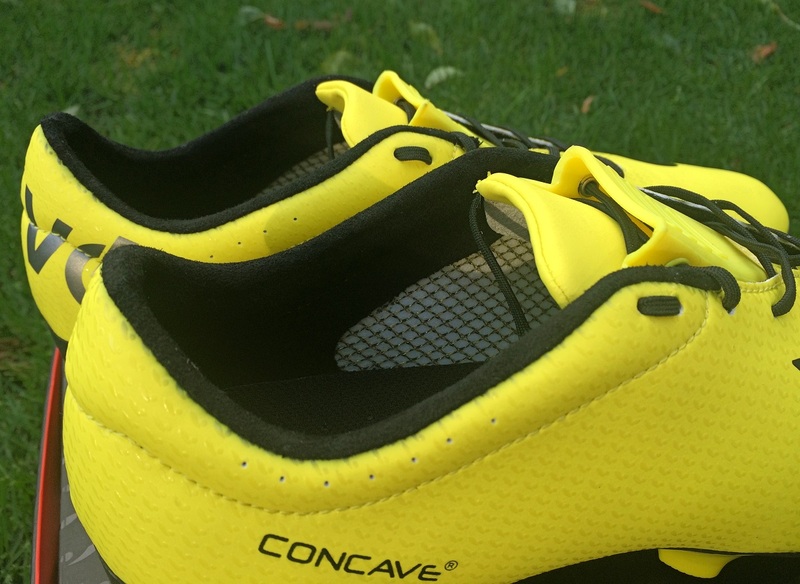 Concave has shaped the shield so the area that sits on the top of your foot contours and blends into the material. It might seem kind of obtrusive, but it won’t have any impact on our experience with the comfort of the boots. Around the ankle lining, Concave use a suede like material that grips your sock and helps keep your foot in place during wear. This is something I always appreciate when brands add it to a boot, it is a simple yet effective way to enhance a lockdown fit. 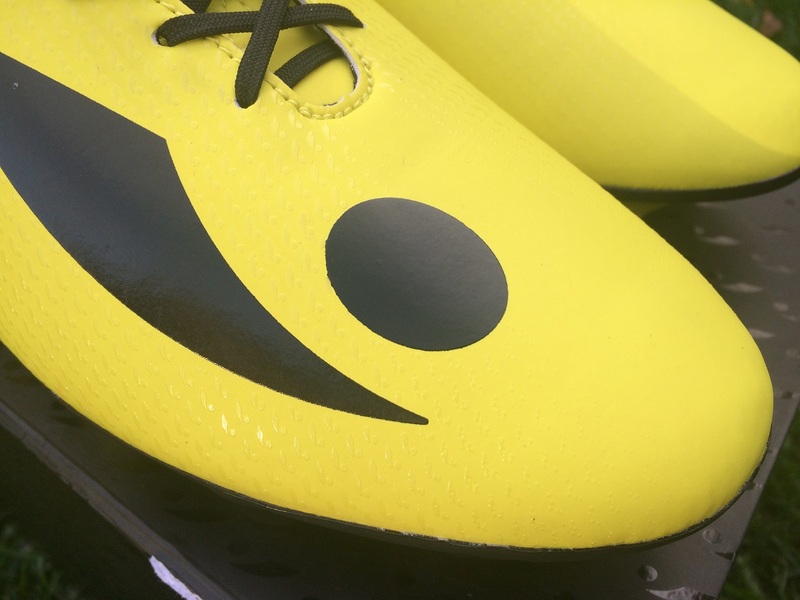 Concave boots are unique with the Concave shape and Power Strike technology piece that sits on the upper part of the boot. Our early boots were very much functionally driven. We recruited former adidas chief engineer Volker Steidle, and former adidas Chief Designer Bruno Antonelli. These guys have really helped the boot progress to a whole new level. Obviously one of the key pieces of the boot, the Concave Component sits on the upper part of the laces, right at the ankle crease. From my experience with Concave, the Component was always big and bulky, sitting in an over-bearing fashion across the front of the boot. Things are very different here, trimmed down in size and now featuring lace holes to make it a true part of the boot. It has well and truly matured. According to Concave, its purpose is to “improve your striking ability, providing a larger sweet spot to achieve perfect contact on the ball.” Is this an accurate statement? Well, the answer is slightly complicated. Yes, it does offer a larger sweet spot simply because it is a natural extension up along the forefoot where you can solidify a powerful shot. It definitely offers additional spring as you connect with the ball, if you choose the strike the ball in this region. For the second part of my answer, note that I used the word “strikezone” yet. In reality, the Component sits in an area I don’t actively pursue using while striking shots. In order to evaluate its usefulness, I actually had to modify how I was shooting in order to connect through the Concave Component. And the result is that it does add extra power behind your shots, but only if you use that area to shoot. Something I’ve noticed while researching these boots (and the rest of Concave’s line-up) is that they now place far greater emphasis on the overall performance of the boots, from the upper material used to the soleplate configuration. As a result, the Concave Component becomes more of a bonus piece of technology that players can take advantage of if they choose to. They now have a wider appeal across the market, while providing much better in-play performance versus initial market entries. Well, that is a good and very valid question. If you can’t make the most of it for striking shots, there is also the intended purpose of adding some additional protection across the front of the foot. Thankfully, during testing I never experienced the joy of having someone trample across the top of my foot. But just from trying to stand on my own foot, the upper area where the “shield” is placed reduces the amount of impact you encounter. I receive many emails from players either coming back from injury or who just want to be more protected – having now tested these, they will go straight to the top of recommended options! So, lets talk about an area of the boot that I was impressed with, the upper material and the feel it provides on the ball. Concave use a microfiber material that is very soft to the touch. It doesn’t give off a faux leather feel, but it does have a lot of pliability to it and is one of the better synthetics you will find on the market. Because of its thin nature, you get plenty of natural feel on the ball and it has some light texturing that can only play a positive when it comes to control on the ball. Right across the surface of the upper, minute Concave logos line the material and give it some slight tackiness. I was also impressed with how the material held up through testing, with little to no visible wear. In other words, they have the microfiber stood the durability test. Underfoot, there is a lot going on. 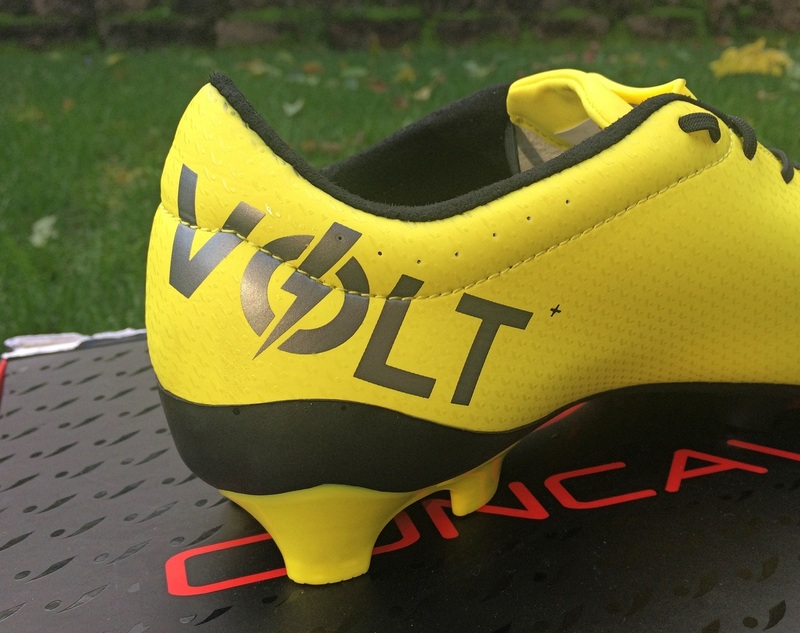 The Volt FG has its own soleplate, built as the most aggressive in the Concave range. It features a set of off-shaped oval studs that contour the circumference of the plate. Its purpose is to provide uncompromising speed and high traction on all natural surfaces. The entire plate kind of reminds me of something that Pele Sports would have used, although the quad stud configuration on the heel makes these much more enticing! In play, the entire system works well, especially on natural grass where you can crop, chop and turn with little drag or resistance. I found that the natural contoured shape of the blades along the outer side of the plate offer some additional stability, allowing you to plant and release as you are looking to move laterally. This is obviously key for centrally positioned players that need to quickly transition from side to side across the pitch. On AG surfaces, I initially felt some drag as the blades didn’t feel like they were releasing cleanly from the surface, almost like they were catching the top layer of material. This was on a newer style artificial turf surface. Over time, my confidence in the system increased and it really didn’t affect my overall stability. There wasn’t a time when I slipped, tripped or stumbled because of the traction, but I definitely noticed it initially. If you have the opportunity to use them in a training on turf before a game, I’d recommend it just to ensure you don’t have a similar experience. 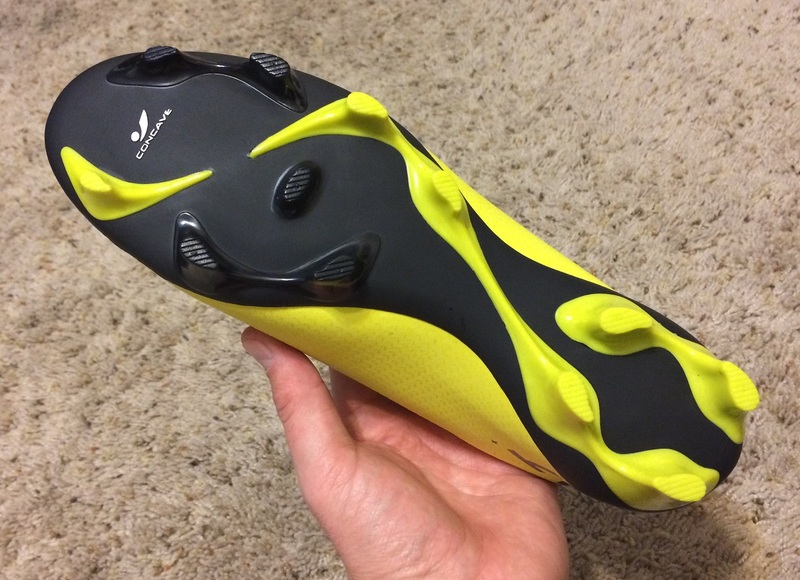 From my experience with Concave boots, they have always fit about a half-size long. With these on feet, there is definitely some extra space toward the toe but I’m not convinced it is enough to want a different size. If I try, I can squeeze a finger between my heel and the boot, but it puts pressure on my toes. Looking down on the boot, the general shape seems narrow, but it actually accommodate a medium/wide fit very nicely. If I was it use a word to describe them it would be streamlined. That extra space toward the front of the show allows for a comfortable fit in a boot that naturally curves toward the toes. So, I definitely see them as a true to size option, with a little extra wiggle room in case some players need it. Unlike older model Concave boots, where their was an unnecessary adjustment period with the added technology, here you get to actually enjoy the boot and experience the added technology as a bonus, if it works for you. From my experience, I never found myself using the Concave Component unless I was awkwardly trying to purposely use it. In that respect, it didn’t do much for me and just sat as a feature on the boot. Other than that I enjoyed the boot and look forward to seeing where Concave take this boot to next. 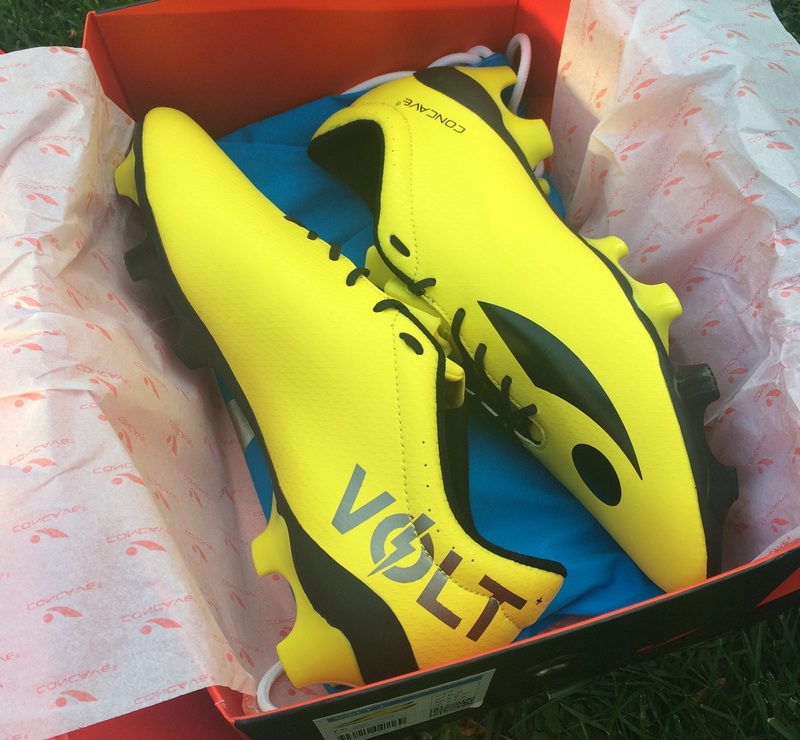 If you are interested in getting a pair of Volt+, find them listed at concave.com. 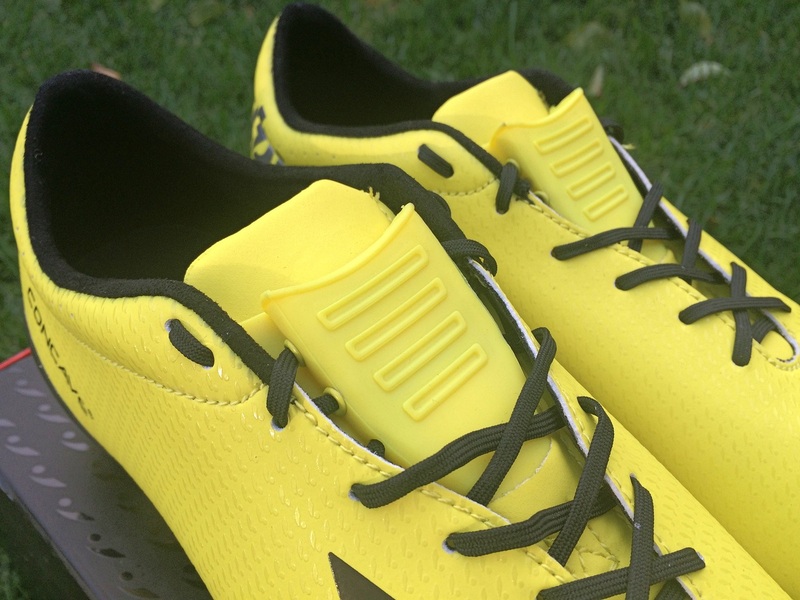 Highlight: A mix of speed and power in a boot that has evolved to be a modern market performer. Upper features a very impressive synthetic material that provides nice touch on the ball. Category: Speed in functionality with the bonus of an added Power component. 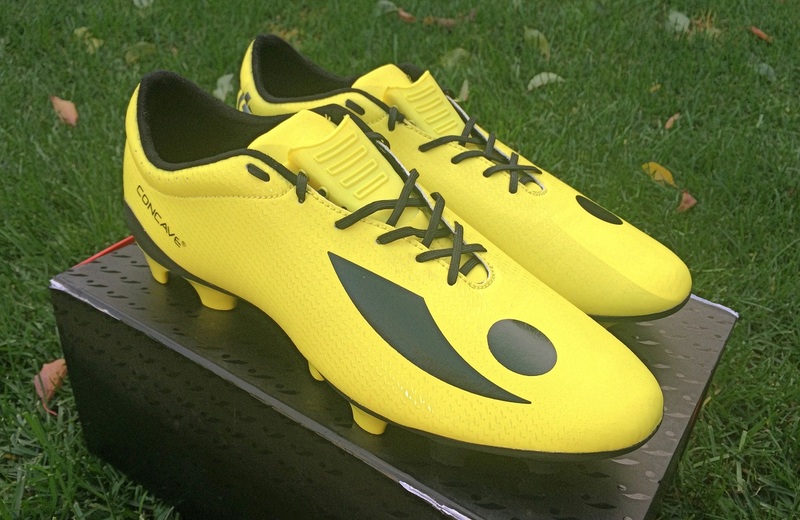 Would I Buy Them: As far as my experience with Concave boots goes, they are the best to date. I’d consider them as a speed boot option. Player Position: One of the unique aspect of these boots is how they can easily be worn by any player on the pitch! Defenders that want a speed boot with the benefit of added protection, this is your top option!